Since The Refashioners 2016, theme Jeanius, began at the beginning of the month I've really been wanting to make myself a shirt out of a pair of jeans, but I had some reservations. Finally this weekend I decided "the heck with it!" and made myself a shirt out of a pair of jeans. 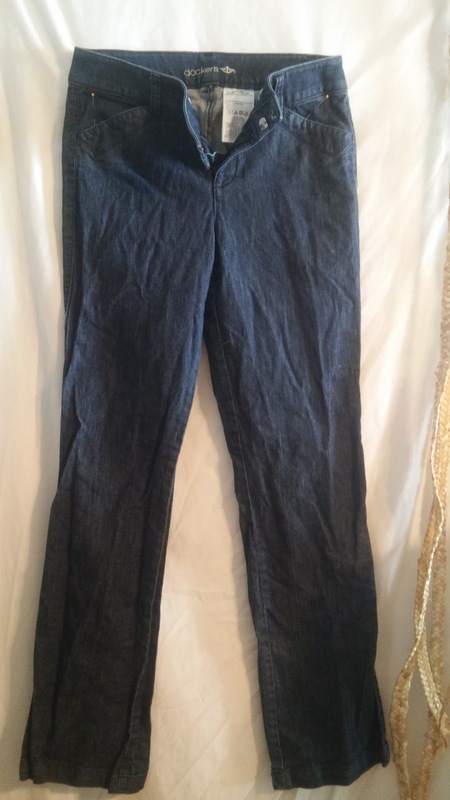 I started with these, the least jean-like jeans in my stash. They were in perfectly good shape, my mom passed them on to me a couple years ago, but they weren't really my style, so a shirt they would become! 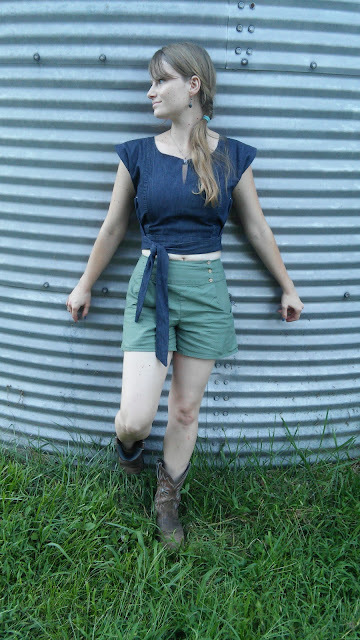 I turned the jeans into a 50's inspired crop top by loosely following this tutorial. Despite never thinking I'd wear a crop top, and not being entirely sure I'd like a shirt made out of an old pair of jeans, I love the finished product! To see exactly how the jeans became the wrap crop top, check out my blog post! You look great! I love the shirt! Amazing! P.S. As soon as I saw the shirt, I recognized it from Pinterest and thought I could do some variation of it. Looks great.